I hope that you have all had a nice weekend – it has been a very hot and sunny one here in Yorkshire and much garden fettling has taken place including the clearing of weeds from a neglected area at the bottom of the garden, thanks kids for your sterling work today. We have had a lovely BBQ this evening as well! It has almost been too hot in the conservatory to do any fabric fettling but Ellie and I did a little bit today and I have some pics to show you from earlier in the week.We have been making a whole load of very cute pincushions from her Simple Sewn Gifts book that she got for her birthday and I have been helping by cutting out the fabric. These are very lovely. 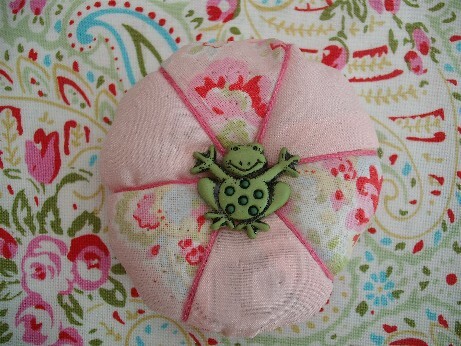 There is one for her with a very cute frog button. One for her auntie as she loves cats. One to go with the scissor keep she made as a donation for the ‘Put em Ins’ that we are making for the Quilter’s Guild Tombola at the Festival of Quilts in Birmingham in August (Put em Ins are anything you can put things in). One for me to match ny WIP sofa throw in the lovely medieval fabric. 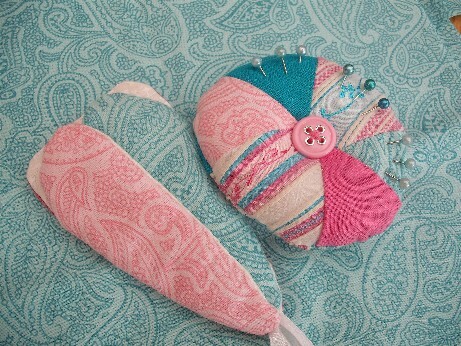 I am still sewing my little patchwork Xmas hearts which leads me to the giveaway which is the title of my post. 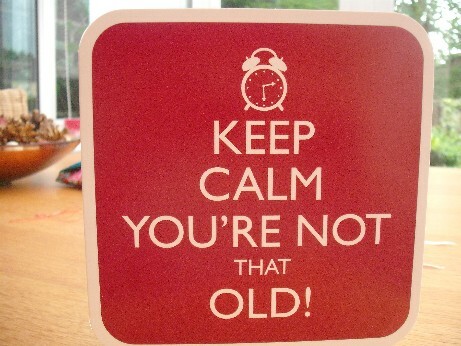 It was my birthday this week – the kids were kind enough to buy me this lovely card! 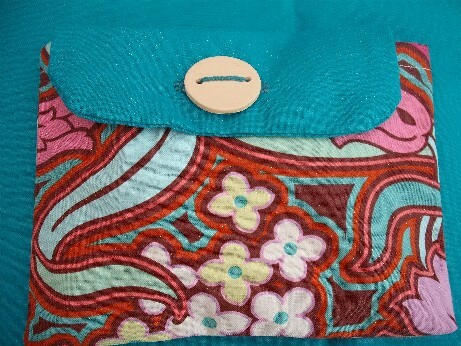 Ellie also made me a very pretty bag and is making me a jewellery roll in the same fabric to go with it. It is also my 204th post right here, right now – I had meant to have a giveaway to celebrate the 200th post which was last week sometime but missed it so thought I would do it now as a birthday and blog celebration. I am offering an Xmas ornie as I love doing them and it can be any one of your choice – either a stitched one or a patchwork – tree, heart etc anything at all. If you click on the ‘Xmas Ornies’ link in my Category Cloud you will see all the ones I have ever made so pick your favourite one. To enter please leave a comment on this post telling me what you would like to have . I will pick the winner in two weeks on the 17th July. We are off to London next week for a little holiday – lots of museum visiting and we are going to lurk around the premiere of the last Harry Potter movie on Thurs in the hope of seeing some stars! Hope that you all have a lovely week ahead and thank you for visiting. Thank you both very much, I had a lovely day – there was fabric involved! Happy Belated Birthday! Looks like you’ve been having fun sewing — I love the buttons on the pincushions! (Oh, and that card is hysterical! 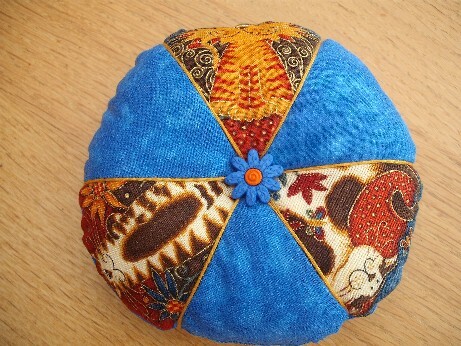 Yes Ellie and I have been having a lovely time – she was really into the pincushions and they are so simple to do in al sorts of sizes that we will be making more of these. I loved the card as well – aren’t they thoughful! Happy belated birthday and also Happy 200th posts celebration. Loves the xmas onies and pincushions you make..
Hello and thanks for visiting – I have been having a very lovely time making these ornies – next few batches are going to be stocking shaped. 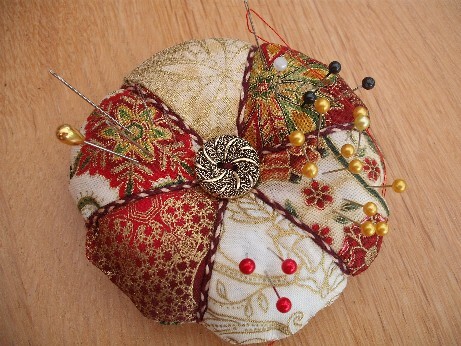 I love your medieval pincushion, the colours are beautiful. Yes it is lovely – I have a WIP sofa throw that I need to finish in the same fabric which is going to look fab in the lounge. I really wish I had bought more of all of that fabric now when I saw it in October, they go out of stock so quicky as new designs are developed and I possibly won’t be able to go to the same show again this year to see those suppliers. Note to self – if you see something nice buy loads!